In the popular imagination, Mexico conjures up images of ancient civilizations, plundering conquistadores, and mustachioed revolutionaries. More penetrating insights are provided by figures such as the artistic colossus Diego Rivera and Nobel Prize-winning writer, poet, and philosopher Octavio Paz. But there is really no substitute for being there and experiencing Mexico for oneself. The many contradictions of this vibrant land are reflected in the character of the people. Mexicans are intensely fatalistic, resigned even. But when the mood takes them, they are hedonistic and carefree. Likewise, a reserved, poker-faced demeanor will suddenly, once you get to know someone, give way to astonishing warmth and familiarity. The country’s first hundred years of independence were spectacularly bloody, yet it has been at peace for eighty-five years. It shares a long land border with its northern neighbor, yet it could not be more different. 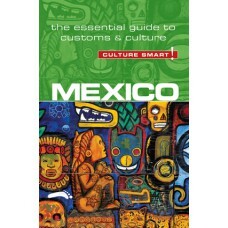 Mexico has emerged from its complex history to claim its place in the modern world. Today globalization and free trade are altering Mexican society once again. However, the Mexicans have yet to embrace consumerism as a way of life; they still seem to rely on human relationships (the family is paramount) for their happiness. Culture Smart! Mexico introduces you to the complex realities of modern Mexican life. 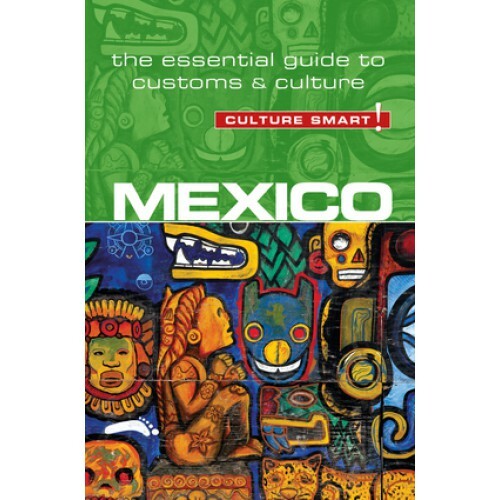 It describes how history has shaped Mexicans’ values and attitudes, and reveals what they are like at home, work, and play. The chapter on customs and traditions gives a flavor of religious and public life, while those on meeting people and “time out” will help you to make the most of your visit. Mexicans value human contact highly—the more effort you make to meet and understand people, the more you will enjoy your stay.